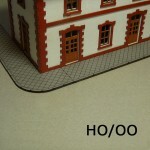 All items in HO and OO Scales. 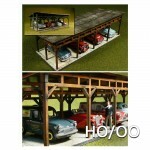 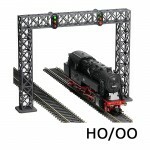 HO/OO Scale There are 131 products. 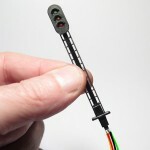 Check not just if your track has power - but also how much!Lights illuminate for 5-9V, 9-12V and +12V.Analogue and digital compatible.Works on all Marklin, 3-Rail track systems. 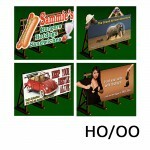 Laser-cut acrylic billboards and movie posters. 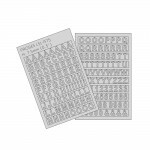 Includes 6 boards and 36 posters to choose from. 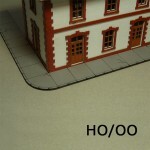 Fit to all HO and OO layouts. 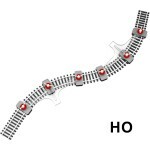 For all analog or digital locomotives. 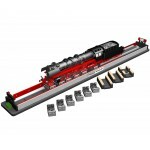 Includes 6 rollers and 4 cleaners. 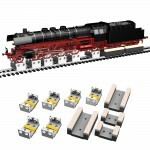 Suitable for Marklin 3-Rail, analog and digital locomotives. 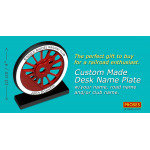 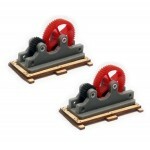 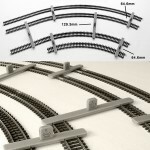 For all analog or digital locomotives running on 3-Rail, Marklin tracks. 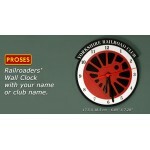 For all analog or digital locomotives. 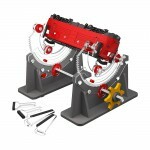 Includes 6 rollers and 4 cleaners. 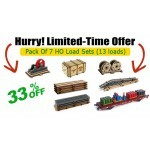 For all analog or digital locomotives. 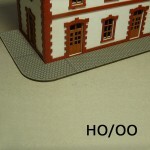 Laser-cut and engraved sidewalks. 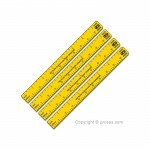 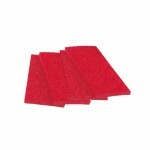 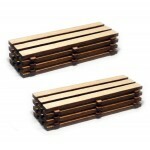 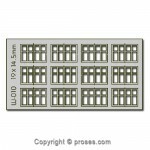 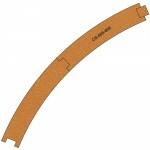 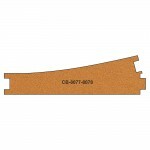 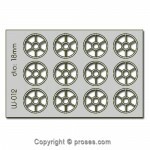 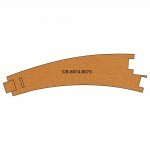 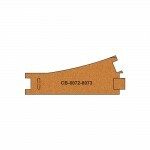 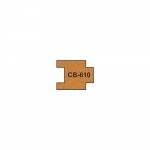 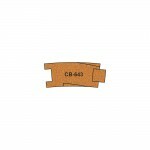 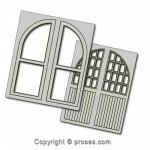 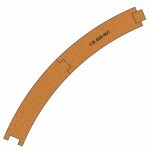 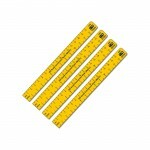 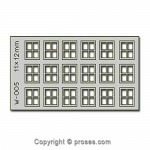 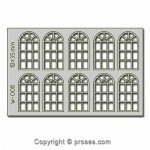 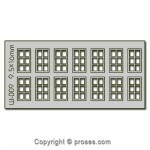 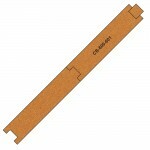 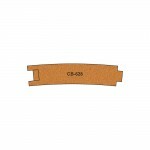 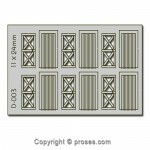 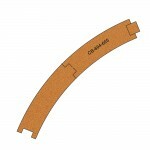 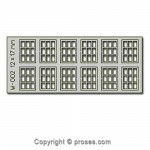 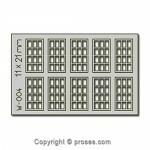 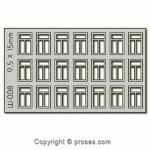 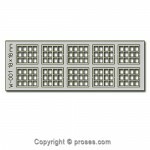 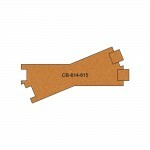 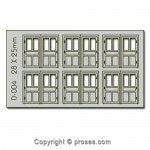 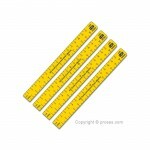 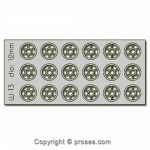 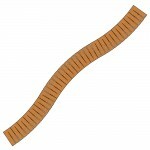 Width: 25 mm Thickness: 2 mm Fits to all HO and OO scale layouts. 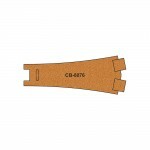 Laser-cut cardboards kit of historical village station of Cigli in Turkey. 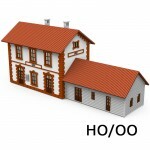 Fits to all HO and OO scale layouts. 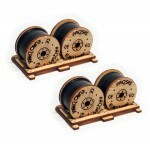 Precision laser-cut cardboard kit. 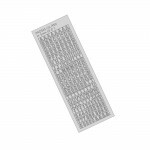 See specifications below. 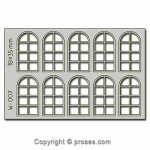 HO Scale Laser-cut precision carboard kit with 12 LEDs 170 X 18 X 120 mm - 6.7" X 0.7" X 4.7"
Precision laser-cut cardboard outdoor billboard kits to add your layout. 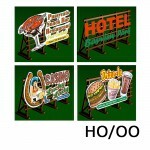 1 set includes 4 billboards. 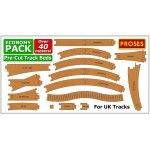 Precision laser-cut cardboard 4 car shed kit to add your layout. 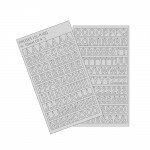 A pair of precision laser-cut cardboard cottage kits to add to your layout. 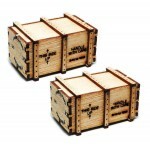 You can use as a hunter's cottage or a repair cabin. 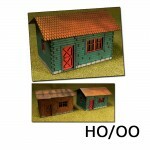 1 set includes 2 cottages. 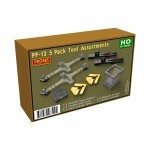 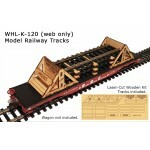 Easy to assemble laser-cut kit for HO and OO scale wagons. 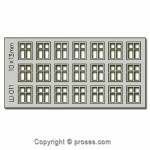 You have buildings without interiors. 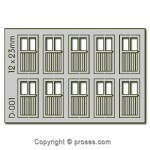 Why not add some rooms with different wallpapers, paintings and carpets. 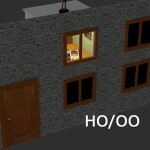 You can also add lights and illuminate them. 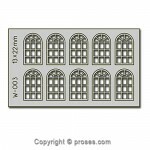 With this laser-cut kit, you can make 4 rooms and decorate them with your choices from different floor types, wallpapers, carpets, classic and modern paintings and door types. 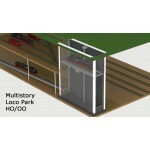 Multistory Loco Park is our new project to be released soon. 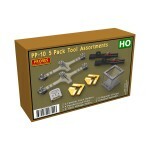 It is not finalized yet. 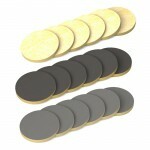 Price will be set after final tests and modifications if needed. 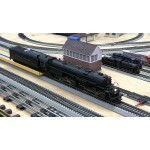 Please subscribe to our newsletter to be notified. 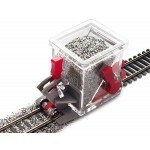 Access all areas of your Loco with this new mechanical loco cradle. 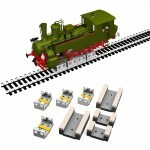 Adjustable for the length of your loco.Holds and rotates your model with ease.Unique rubber beds keep the loco held in the bench without damage. 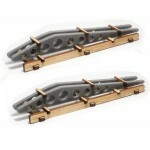 Service your loco simply and easy with this new loco cradle. 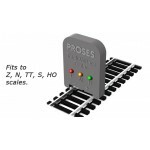 Will support your loco at 45, 90 degrees or completely upside down.Unique rubber beds keep the loco held in the bench without damage. 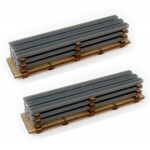 Perfect ballast spreading is never problem again with this easy to use Ballast Spreader. 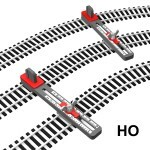 Slots underneath the spreader keeps your ballast in line, spreads the ballast on track and never on rails. 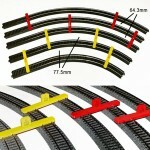 Fits to Marklin 3-rail tracks. 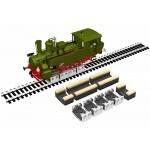 Our classic ballast spreader with a shut off mechanism added. 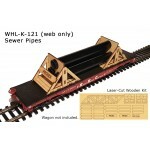 Adjustable height setting allows you to alter the depth of ballast and cope with different Code Rail. 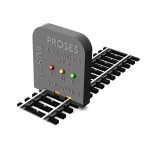 Shut off valve - now you can halt the flow of ballast whilst you lift the Ballast Spreader over point work or when it reaches the end of the track. 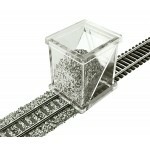 Loco hauled - You can now pull the Ballast Spreader with a locomotive as well as by hand. 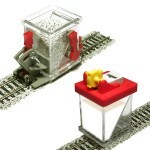 Pushed or pulled by a locomotive. 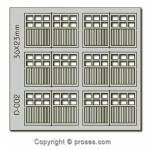 (DCC) Drop frequency electronically adjusted. 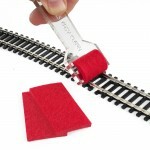 Meters of glue applied in seconds. 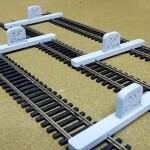 Drops glue only on ballast and sleepers thus you don’t need to clean the rails after gluing. Ballast Spreader and Gluer combo. 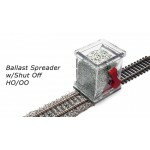 Perfect ballast spreading is never problem again with this easy to use Ballast Spreader. 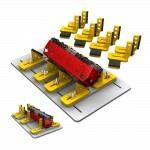 Slots underneath the spreader keeps your ballast in line, spreads the ballast on track and never on rails. 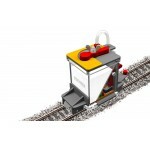 Ballast Gluer is another innovative tool from Proses workshops to glue track ballast with ease and quickly.